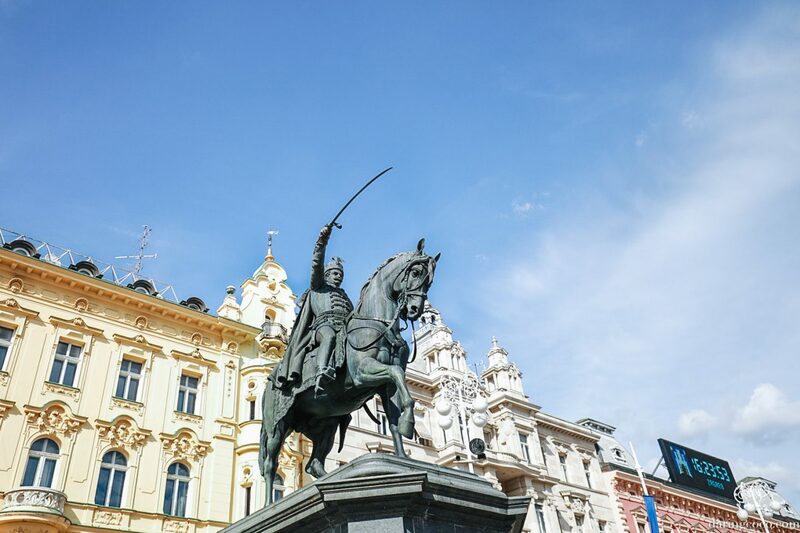 Initially my introduction to Croatia got off on the wrong foot, compliments of two unruly Croatians adamant on making my life hell during the flight over from Frankfurt, Germany to Zagreb. Their relentless pestering and uninvited schooling on how and when I should have my iPhone turned on in-flight left me regretting my decision to visit Croatia all together. Why, oh why, had I opted to travel to new and unfamiliar territory? Their badgering converting my thoughts of eagerness to trepidation and anxiety of what to expect in Zagreb. Was this an omen or setting the tone for the entire journey abroad? 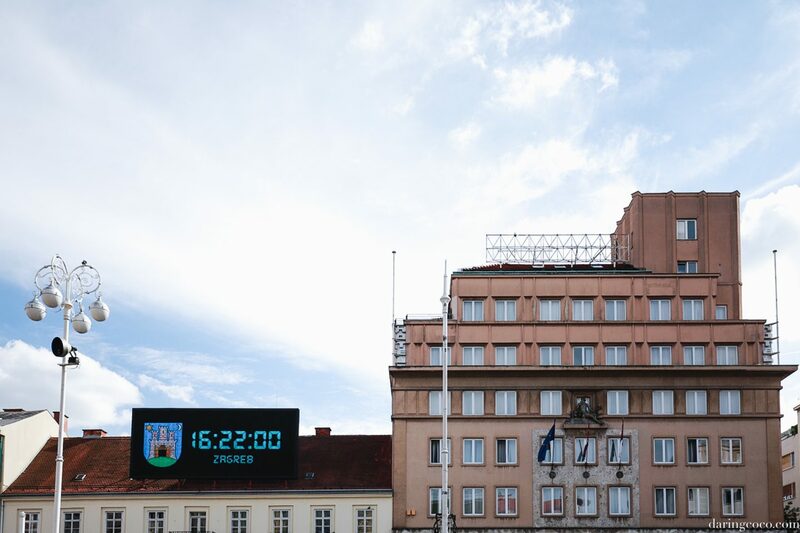 Most thankfully, Zagreb, proved otherwise. Vehemently adamant to prove that Croatia was indeed a charming and friendly country with people to match. Seemingly with exception to two lawless individuals. 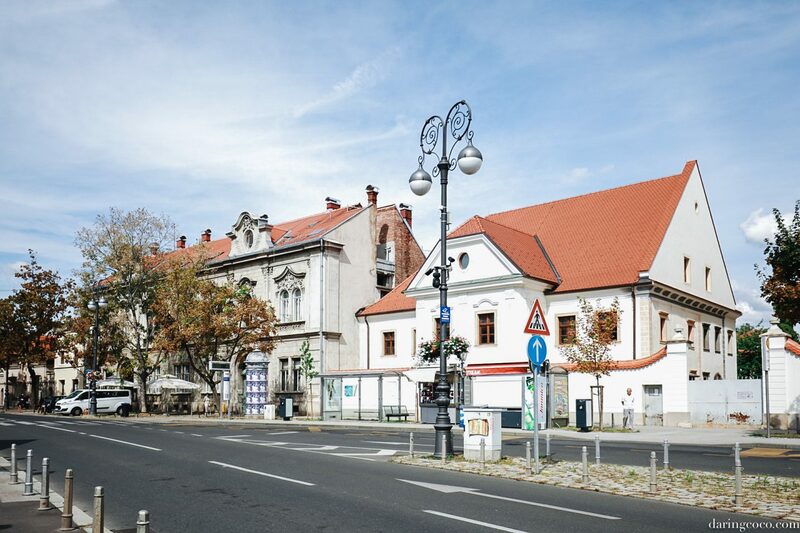 The city of Zagreb is found in the northwestern parts of Croatia. And to call it charming is an understatement. 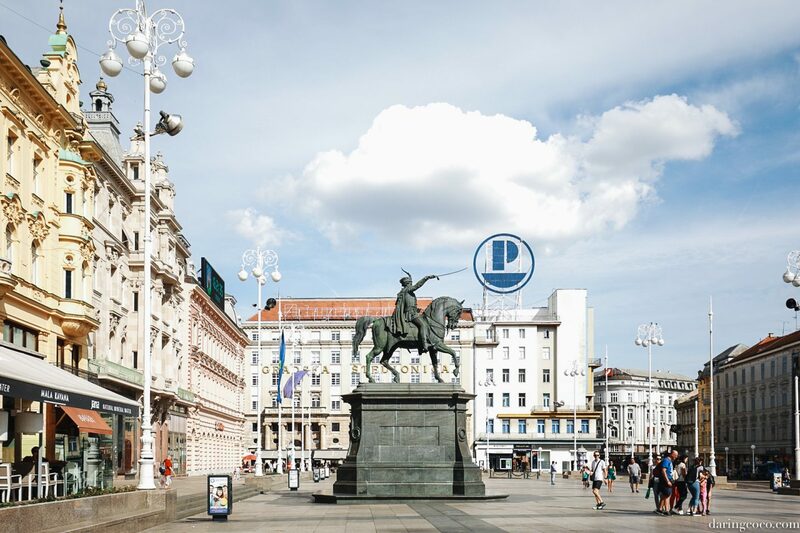 Distinguished by ever opulent Austro-Hungarian architecture, this city has the most unassuming flair and playfulness. 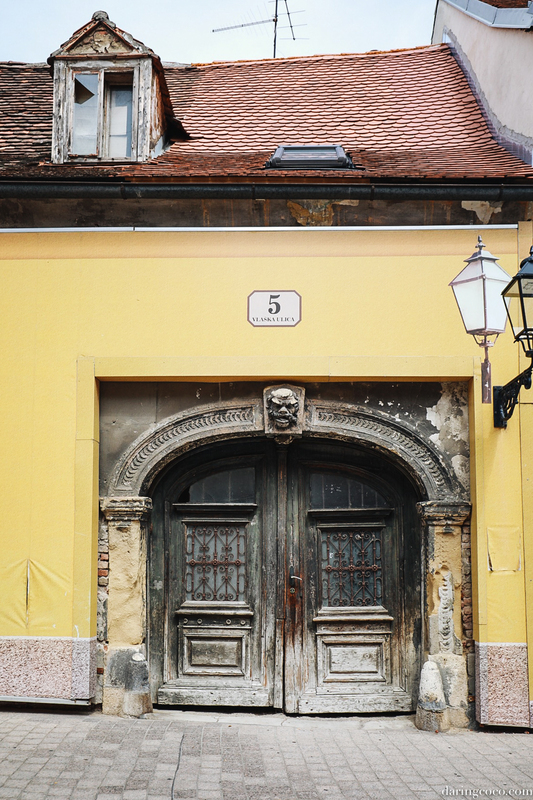 From quirky intrigue like the museum of broken relationships and cafe lined streets to the abundance of old world beauty found in the Gornji Grad–Medveščak area of Zagreb, where we spent an entire day adventuring through. 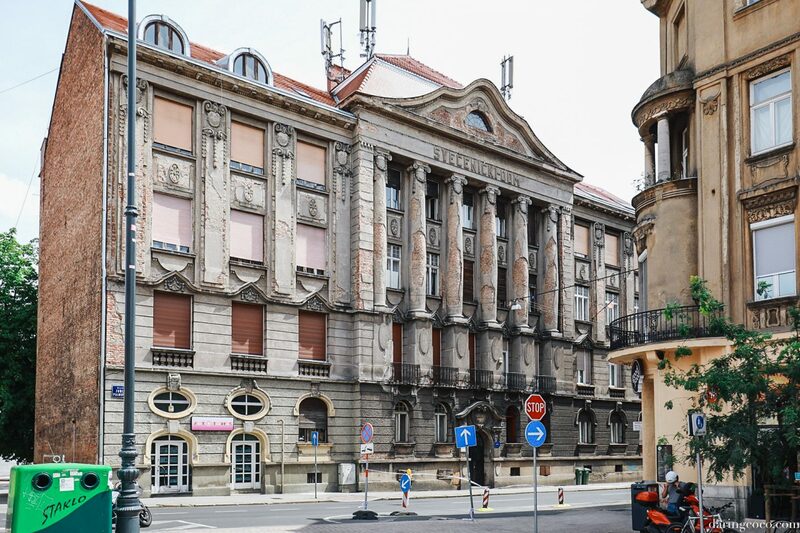 This historic upper part of Zagreb is teeming with notably significant beauty and grandeur. 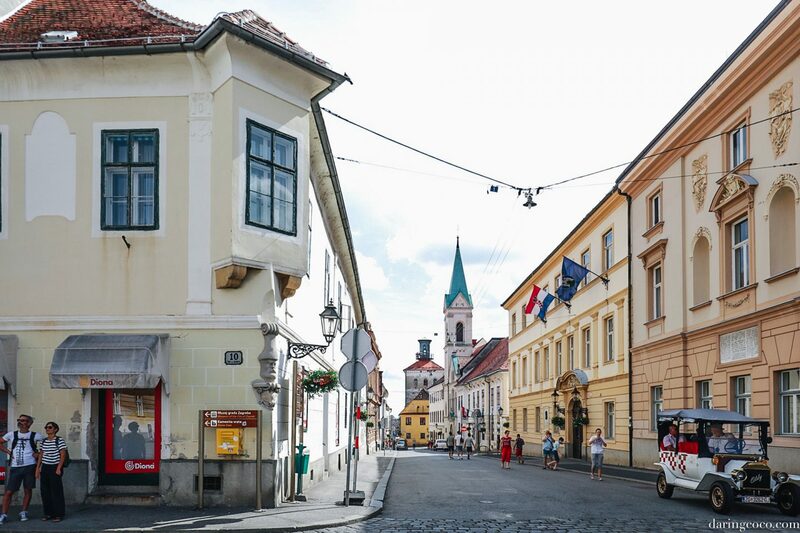 I’d highly recommend visiting Gornji Grad–Medveščak if you find yourself in Zagreb; as it is the ultimate walking tour around some of the most famed parts of this undeniably charismatic city. Especially if you find yourself pressed for time. While this area is also notorious for being excessively elevated and steep, it is a walk that is so very worth it. 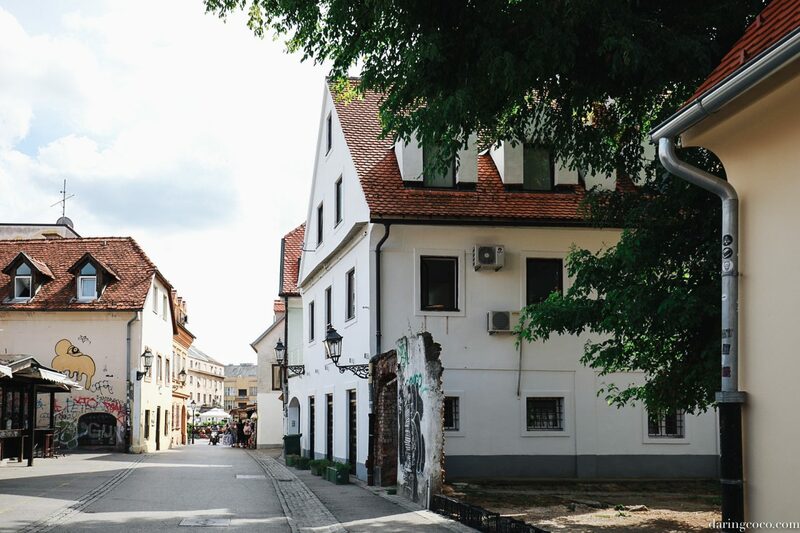 For me, traipsing along ancient paved laneways was an ideal way of being introduced to the country of Croatia and its culture, quirks and iconic Licitar biscuits slash souvenirs. 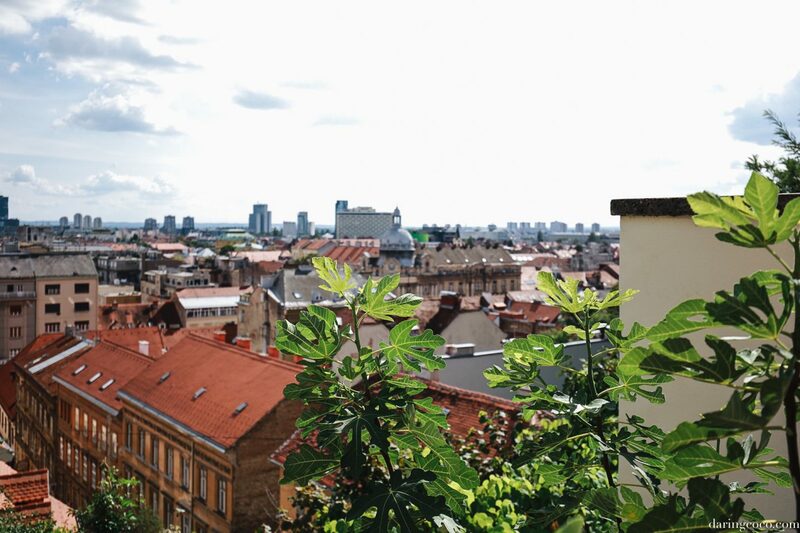 Initially we came to Zagreb completely unprepared but as luck would have it, we happened to chance upon the infamous upper part of town. And it certainly didn’t disappoint with such an abundance of attractions and sites. 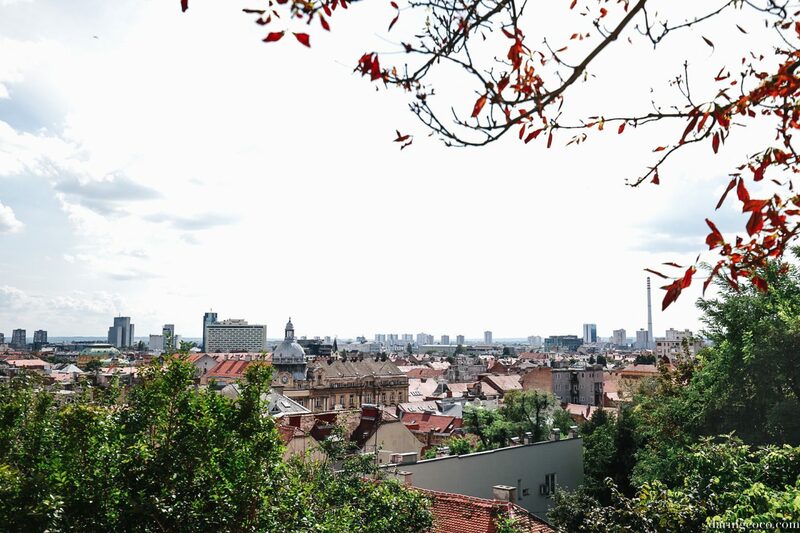 Be it a cosy resting spot for a quick snack or refreshing bottle of water (something we found we needed all too often in the midst of a scorching August sun), or a resplendent lookout over the city of Zagreb itself. 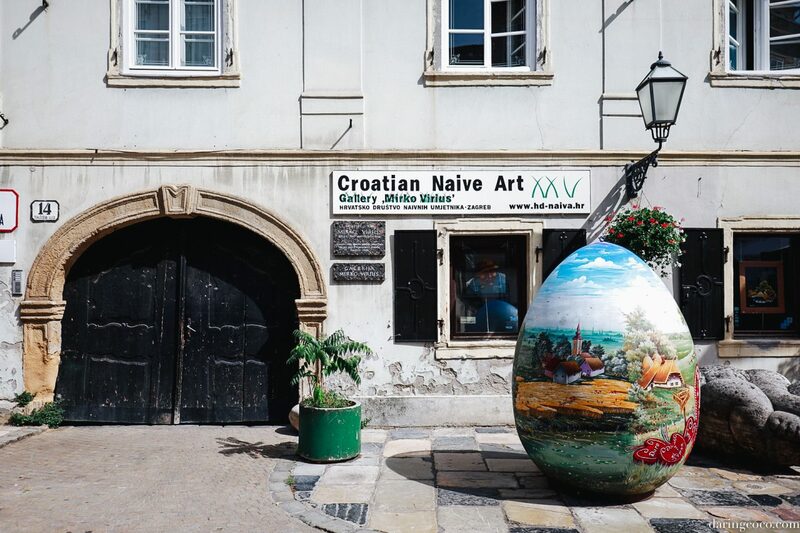 Let me reiterate, Gornji Grad–Medveščak does not disappoint. 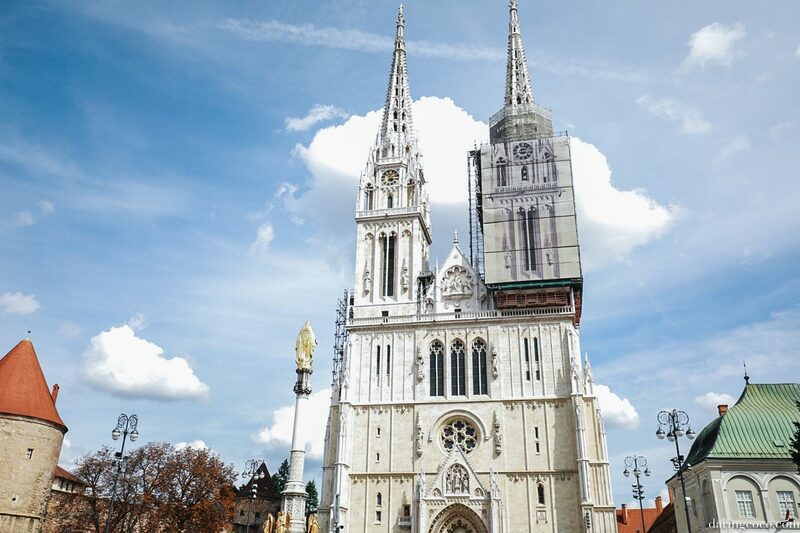 Undoubtedly one of the most sacred and commanding church’s in Zagreb, but also holding status for the tallest building in all of Croatia. 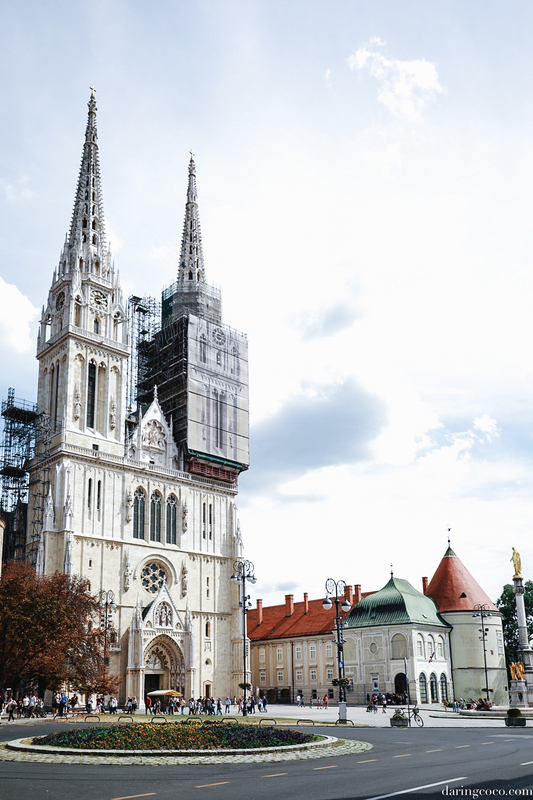 This gothic beauty is so imposing, it’s said that its spires can be seen through most parts of Zagreb. Something which I can attest to, being how those spires were one of the first things I noted as we drove into the city. Attempting to navigate foreign roads and with very little preparation for what to do and see in this city; Gothic perfection peeking through at every turn of the vehicle. 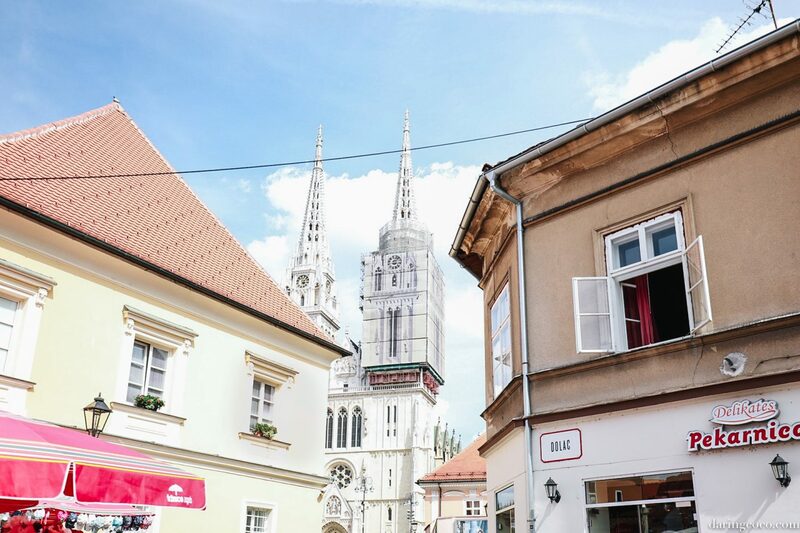 It was those very spires that we opted to navigate towards and what set us on a most unforgettable walk through Gornji Grad–Medveščak. Zagreb Cathedral was one of the first major sites we encountered in this city. And an attraction I hold the fondest memories of visiting. And yet as I type this, I feel rather remorseful that I opted not to set foot inside the cathedral. Especially upon learning that entry also happens to be free (something which perplexingly is becoming less and less common these days in Europe). I’m not quite sure why I didn’t venture closer? Perhaps the influx of tourists were to blame or that I was simply overwhelmed from such an emotionally depleting journey. Or maybe, just maybe it was from being overly captivated by its alluring facade? Because let’s face it, majestic is an understatement. From towering spires (even with one half shrouded in thoughtful scaffolding) to opulent golden relics and water fountains. There is much to take in architecturally. Zagreb Cathedral also happens to be a pod of activity. Not only from tourists and worshippers but from the bustling cafes and stores that surround it. We happened to have lunch slightly down the road from here at Restoran Katedralis. Which happened to be the ultimate spot for people watching too. Something which is a most European pastime no? We stumbled upon this unassuming laneway shortly after meandering away from St Mark’s Church. Mainly because of (what turned out to be) the Lotrščak Tower, which we noted with glimpses of onlookers out in the distance. This intriguing lookout stood out like a sore thumb. A dark cylindrical tower unnaturally perched atop another building. 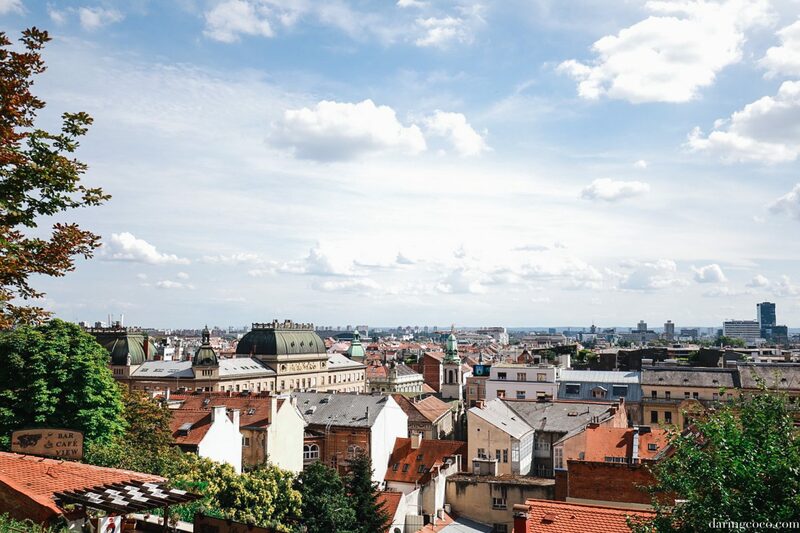 We had every intention to climb the tower however once we made our way to the Strossmayer Promenade, the exceptional, panoramic views over Zagreb had us completely enthralled. Seemingly the Lotrščak Tower Plateau would house even more exceptional 360 degree views of the city. But since time was pressed, such experiences are now reserved for a future return. The walk towards the lookout from St Mark’s Church was quite pleasant, even slopping downwards at some points. However making our way downhill was a different story as the pathway converted to a narrow and steep stairwell. While shaded by trees I couldn’t help but admire the brave few ascending upwards in the scorching August heat. Seemingly such tasks are more pleasurable manoeuvring downwards, especially with rare glimpses back out towards the city through dappled breaks in foliage. Another thing to note is that at midday a cannon is fired. A tradition dating back to the late 1800’s. 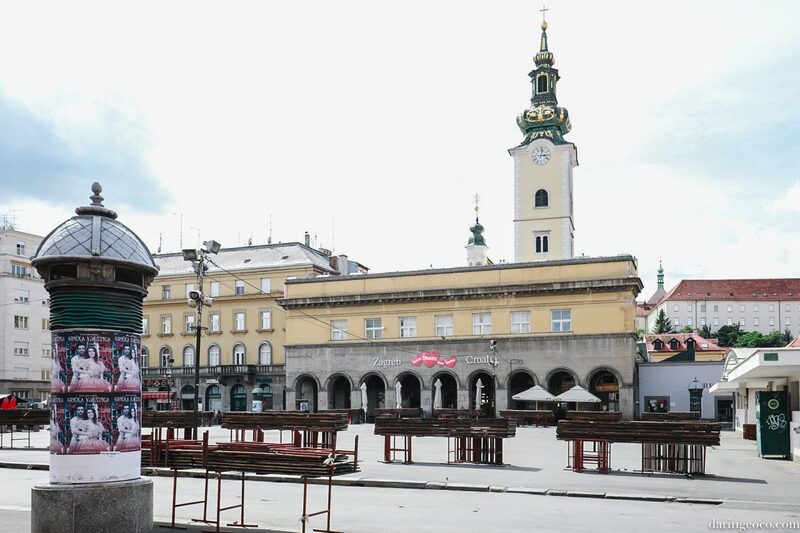 Legend has it that a cannon was once shot from the Lotrščak Tower with enough force that it made its way over the Sava River and landed on a platter being carried to the Ottoman’s Pasha for lunch. He was so fearful of this that he decided against attacking the city and thus they remained unconquered. While we didn’t have the pleasure of personally viewing such fanfare, I hear it is a must. 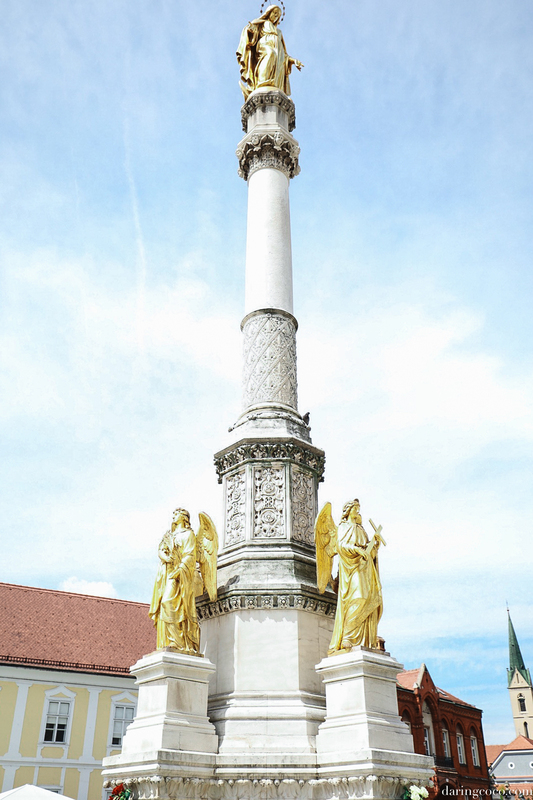 While Zagreb Cathedral may be the most sacred, St Mark’s Church is the most symbolic in Zagreb. 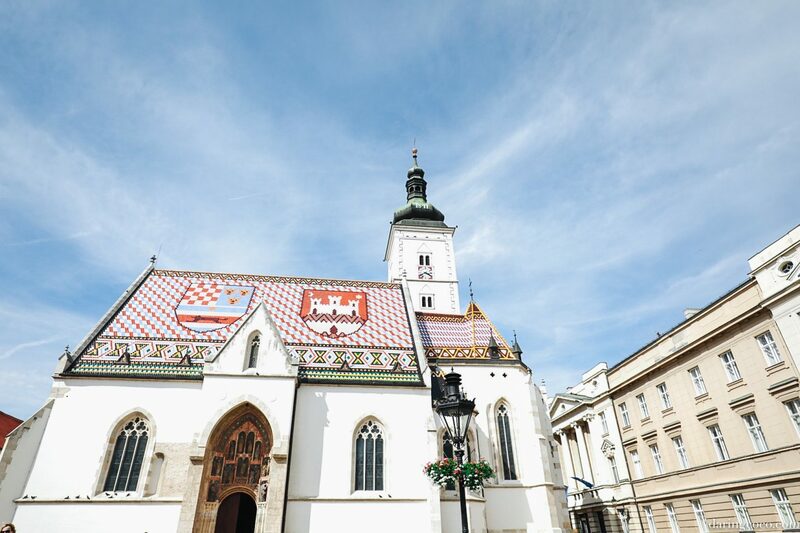 And quite possibly one of the most iconic and most visited tourist attractions to Zagreb; seemingly with its distinctive colourful tiled roof. One that at times happens to be bizarrely mistaken for Lego pieces. While St Mark’s Church is quaint and fascinating, its vibrant roof is playful and inviting, much like the city itself. 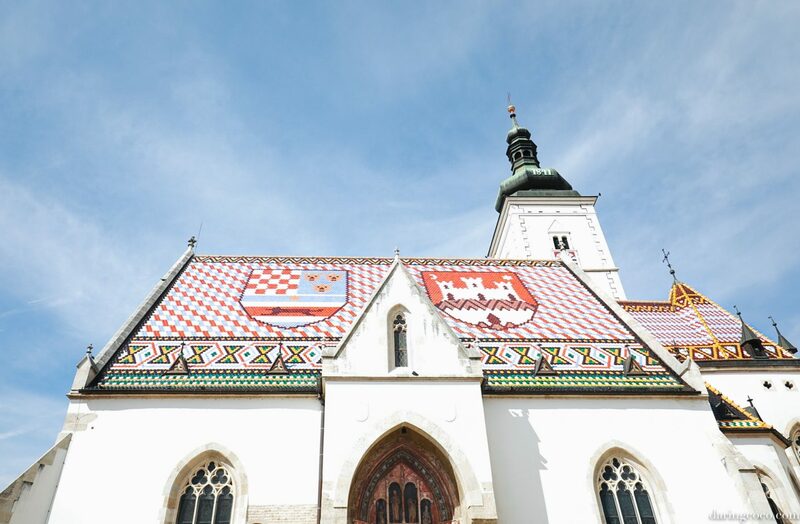 The mosaic roof features the Medieval Truine Kingdom of Croatia, Slavonia and Dalmatia alongside Zagreb’s own coat of arms. Built in the 13th Century it has undergone many changes since, having been numerously reconstructed throughout time. Entry into the church is free however with limited opening hours, which only opens during scheduled mass. Inside houses two sculptural pieces by renowned Croatian artist Ivan Meštrović. Yet again another major regret and missed opportunity as the church happened to be opened as we made our way to the square and yet I opted to remain outside in the heat. Why? I wish I could answer that myself. Another iconic point of interest and a square with the proverbial “all roads lead to” tale and the cities main square. 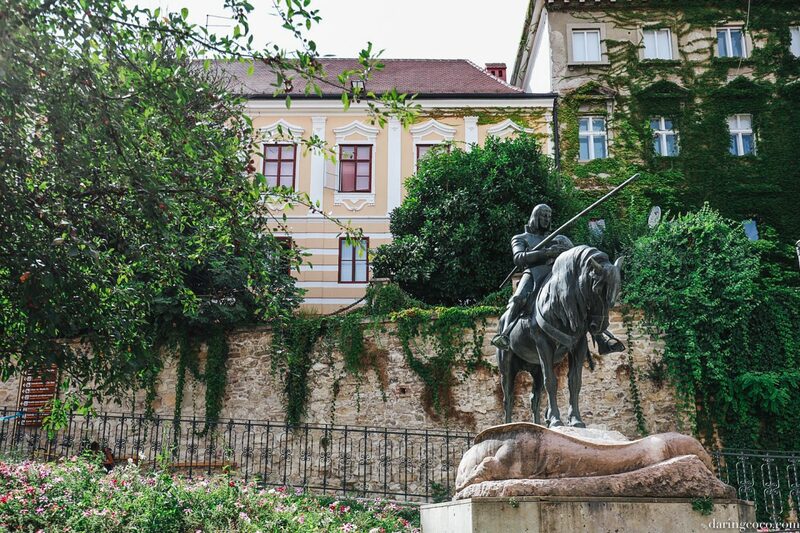 Housing a large statue of one of Croatia’s National Hero and a plethora of ravenous pigeons. 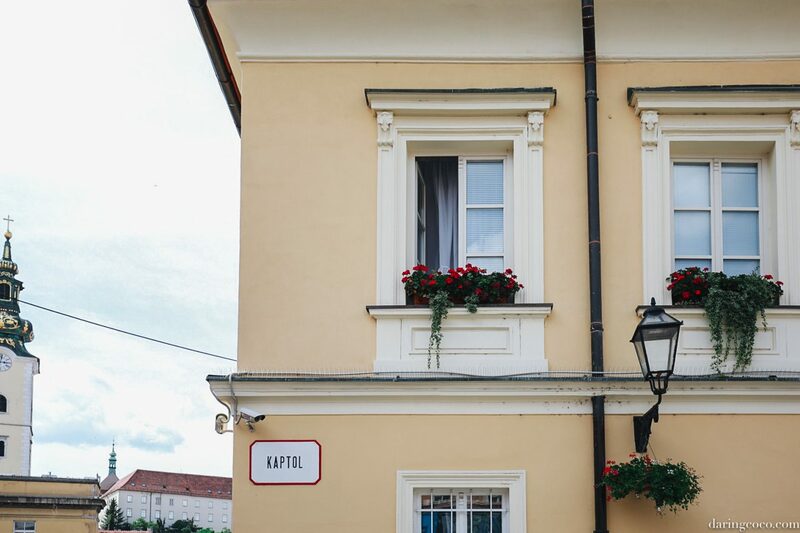 This is another optimal spot for people watching and a perfect place to either begin or end a walking tour of the Gornji Grad–Medveščak area. 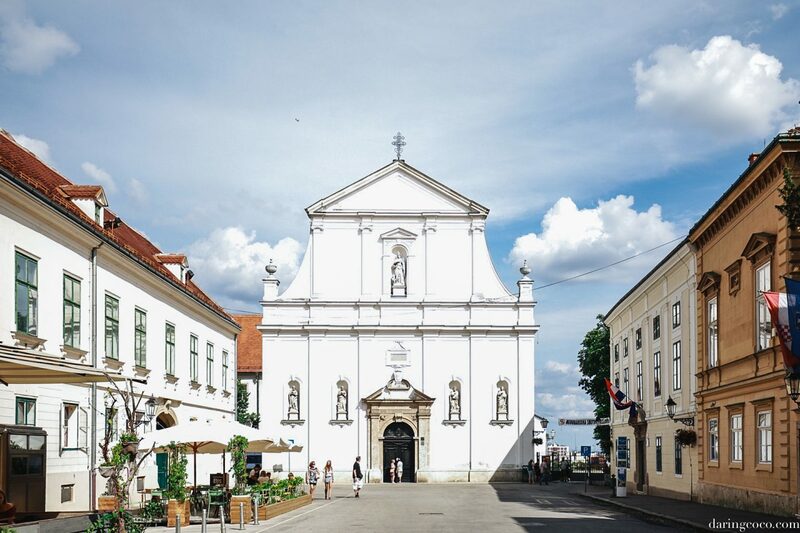 I spent a mere few hours in Zagreb, literally hopping off an exhaustingly draining flight from Australia and straight to Gornji Grad–Medveščak. And yet with such a small timeframe here I felt as though I managed to witness and learn more than what I’d expected and anticipated. Like the significance and abundance of delightful small hearts dotted excessively throughout the city. Licitar biscuits and alike line numerous building walls, placards and souvenir stores. Small red heart gingerbread biscuits that were once traditionally gifted at weddings and Valentine’s Day now the ultimate symbol for Zagreb. Having had such a traumatic experience flying into this country, I truly didn’t have high hopes for enjoyable Croatian sojourn. 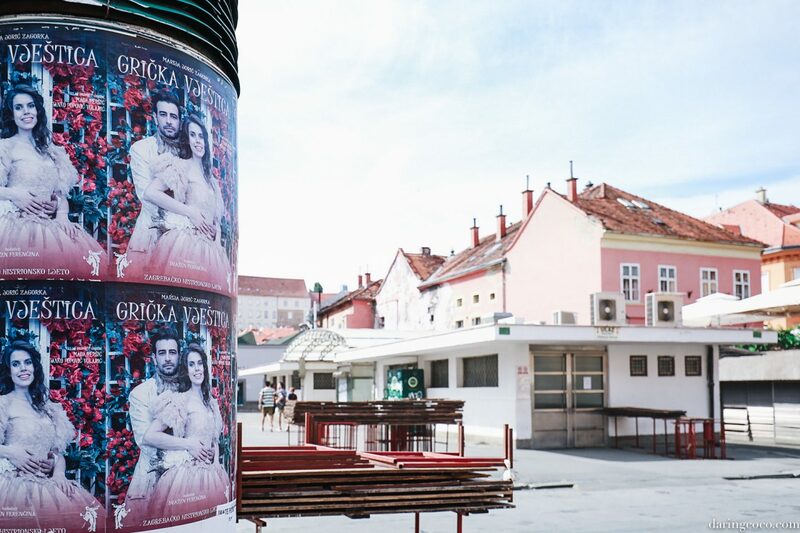 And yet Zagreb proved otherwise, turning on the warmth (quite literally, it was scorching hot that day) and neighbourliness. All apprehension soon replaced by eager anticipation.